More than just a battle royale game, Man at Arms is the medieval game you've been waiting for! Raid Mode is playable alone or in a team of 3 to 5 players. The player embodies a man-at-arms of the Free Company who ravaged the Kingdom of France after the signing of the Treaty of Brétigny in 1360. At the beginning of each game, the players designate a captain among the members of their party, and choose their role among the available character classes. Then once the game begins, they must collect resources (metal, leather, wood), forge weapons and armor to defeat all other groups of players OR achieve the goal of the round which can be the capture of a specific fort, the robbery of a treasure or the annihilation of specific enemy teams. The team's captain has a different game experience than the other players. He can switch between RTS and TPS mode. 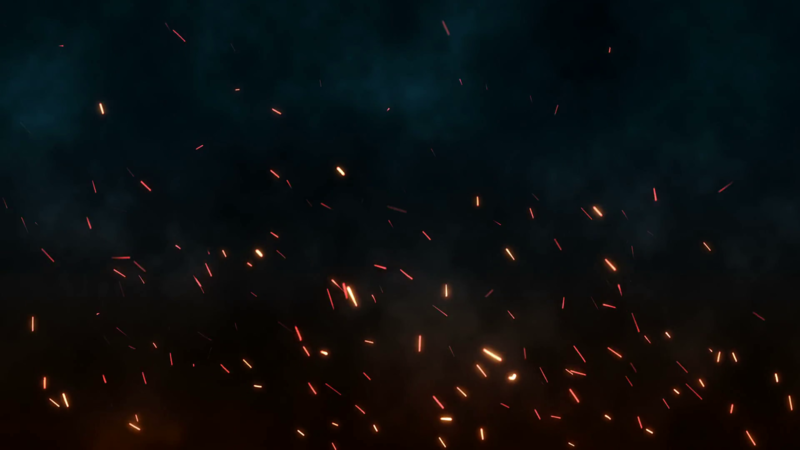 While in RTS mode, he can manage the team's resources, send the other players to collect them, order his men to build barricades, towers or some basic fortifications. In this mode, he is also aware of the status of neutral objectives and the position of their target on the map. However, while in RTS mode, the captain is very vulnerable. You must use this mode carefully! Your captain must survive. He alone can unlock the objectives. If he dies, your only chance to win is to annihilate all the other teams before they achieve their own objective. Follow your captain to the end! Keep him safe even at the cost of you life! 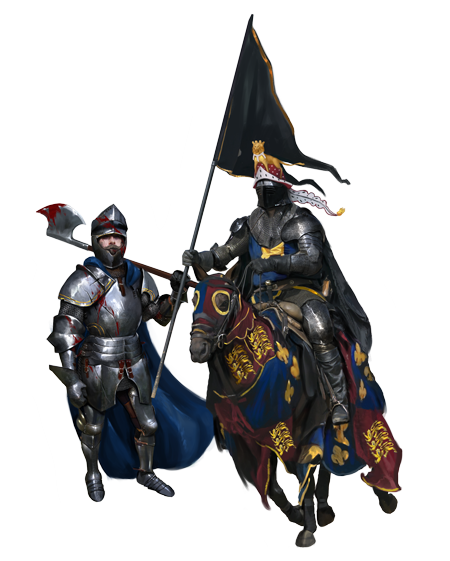 Conquest Mode offers the player the opportunity to embody either soldier of the French / Scottish Alliance or a soldier of the English / Burgundian Armies in the year 1428. The players are grouped in four teams of 25 and must aim to collect the resources of the map to equip themselves and finally to conquer, stronghold after stronghold, city after city, the enemy territory until it has no more resources or men to hope for victory. In this mode, the players take part in epic battles. The player can choose between 3 classes: Peasant, Man-at-arms or Nobleman, and like in Raid mode, they designate a General (among the players of their ranks). The General alternates between RTS and TPS modes. He can order the construction of fortifications, siege engines or various kinds of strategic structures. He is also the one who directs military operations. His death means the end of the game. You pledged allegiance to your King! Honor him! Defend your country! Defend your lands and everything you hold dear! If you are willing to pay the right price, your name will be engraved in History, alongside the heroes of Ancient Times! With Man at Arms, we are strongly willing to seek for the greatest respect of historical accuracy, both through visual and gameplay aspects of the game. Our most important mission is to deliver the most enjoyable game experience, served alongside a medieval context we wish as genuine as possible. With its innovative and unique RTS aspect, we want to make Man at Arms the MMO-battle-royale game that will extend the borders of that genre to something broader than ever. If you’re willing to join the adventure and eventually be one of our first players, be sure to subscribe to our mailing list. You will get development updates, official announcements, and so on. You’ll also be rewarded with a special in-game visual customization when Man at Arms is playable. If you bring five friends to subscribe, you’ll get a more special skin, as our thanks for your interest and support!